There are many lighting options available on Hydrobuilder.com and each offers unique benefits that can help you achieve your goals. Some factors that differ between the various types are: heat output, energy use, bulb or lamp life, price and the recommended height the light should be placed away from the plant canopy. Grow lights are arguably the most important aspect of your grow room. This is a component of the indoor garden that should be given enough consideration. There are many lighting options available at Hydrobuilder, and each offers unique benefits. It can be difficult to decide which type is best for you, but we are going to walk you through it. HID, or High-Intensity-Discharge Lighting, has been the standard for decades in the growing industry. Pumping out tremendously intense light, the watt to lumen ratio for HID lighting is among the highest for all types of lighting. HID lights also pump out lots of heat, and may need to be cooled for some gardens. Because of the heat and light intensity, the lights must be kept at a sufficient distance from the plant canopy to avoid burns. Bulbs must be replaced often, usually every 9 - 12 months. HID lighting comes in many different wattages to accommodate different garden needs. The total wattage of a HID lighting system determines it's intensity and the number and quality of the plants that it can grow. The more watts, the more intense the light. At Hydrobuilder.com we offer HID lighting from 250 Watts all the way up to 1000 Watt lights. To create a full spectrum and effectively illuminate your plants from veg through harvest, you will need two types of HID lighting. Metal halide, or MH, grow lights emit a bluer spectrum, and are ideal for vegging plants. During this phase, use an 18/6 light schedule. High pressure sodium, or HPS, grow lights emit a red spectrum, and should be used during flowering. At this point, plants should be given 12 hours of light followed by 12 hours of darkness. HID lighting requires three components; a bulb, a ballast which turns the bulb on, and a reflector or ‘hood’ that redirects lost light towards the canopy. 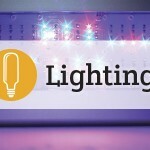 All of these factors can affect the light output and performance of the lighting. Because of this, it is crucial to understand how each part works together to achieve optimal lighting. HID lighting utilizes ballasts to amplify and regulate the frequency of the energy used to power the bulb. Typically, these ballasts are a separate unit from the bulb socket and hood. There are two main types of HID ballasts: magnetic and digital. Magnetic ballasts are less expensive but can run hotter, are heavier, and must be paired to the type of bulb you plan to use (though switchable magnetic ballasts are available). Digital HID ballasts are preferred for their smaller size and lower weight, their energy efficiency, lower heat output, and durability. Dimmable digital ballasts are also available allowing you to use one ballast for a number of bulb wattages. Some ballasts also offer remote control, and can be chained together for better control of an entire room full of lights. There are three main types of bulbs used in HID lighting: High-Pressure-Sodium or "HPS,"Metal-Halide or "MH," and Double-Ended High-Pressure-Sodium or "DE." There are also "conversion" bulbs that allow you to use a HPS bulb with a MH ballast, or vice versa. "Dual Arc" bulbs contain both HPS and MH arc tubes, offering a broader spectrum. MH bulbs produce light with more wavelengths in the blue part of the visible light spectrum and are typically used for vegetative growth. HPS bulbs produce more red light and are optimal for the flowering period of the growth cycle. DE HPS bulbs require compatible ballasts and reflectors but produce more intense light and run more efficiently. There are many shapes and sizes of HID light reflectors available, and each produces a different light footprint. Air-Cooled and Cool Tube reflectors allow you to run ducting and pump air over the bulb. This will help with the removal of heat from your grow room. These are typically sealed with glass. Open reflectors come in various shapes such as wing, parabolic, and rectangular. Double-Ended HID Lights require compatible reflectors. HID lighting can also be run without a reflector by mounting the bulb and socket directly from the ceiling of a grow room, or hanging them. Reflectors and lighting technology are constantly improving, and a small increase in efficiency can pay for itself tenfold over the course of a year or two. But does it really make a difference what you spend? The short answer is yes, in the right situation. Your grow room is like any other system—it’s a chain that is only as strong as its weakest link. If temperature, humidity, CO2, nutrient strength, pH and watering frequency are all dialed in, then optimizing photosynthetically active radiation (PAR) will correspond with an increased yield and a better quality product. However, if you buy the most expensive lighting system on the market, but don’t give your plants the other resources they need, you will end up with small yields of low-quality flower. Many factors determine how PAR is distributed over an indoor canopy: grow lights, the type of ballast and reflector, spacing between lights, and distance from the canopy. In order to understand light distance and spacing, you have to consider the inverse-square law. In physics, the inverse-square law of light states that a specified quantity or intensity of light is inversely proportional to the square of the distance from its source. What does that mean for indoor growing? A given amount of light doesn’t diminish at a greater distance from its source; it spreads out into a space that is equal to the square of that distance. This is important to understand when selecting reflectors. If you hang a single light with no reflector in the middle of a room with black walls, the intensity of the light available to the canopy will diminish by the square of the distance between the light source and the canopy. Many reflectors are designed for this situation. They focus as much light as possible into a small area. This means they can be hung high enough above the canopy to control heat, while still producing enough light intensity to grow plants. In this case, it is more efficient than using a reflector that is designed to spread light out as much as possible. One standard 1000 watt HPS light is sufficient for 16 to 25 square feet of canopy area. 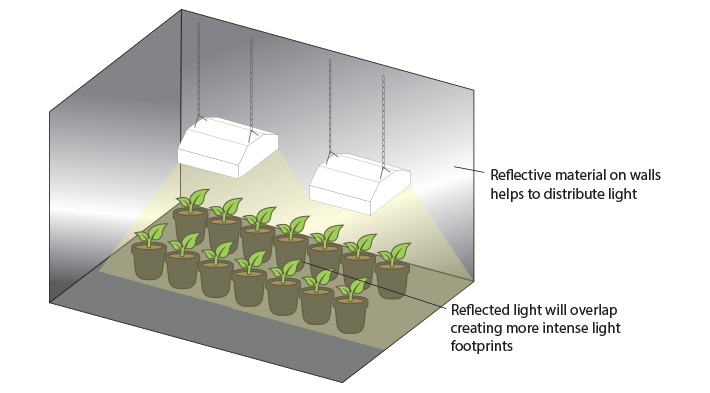 A reflector that focuses the light should be used if there are no other lights in the grow room. Reflective material, such as mylar, should also be hung around a 4’ by 4’ or 5’ by 5’ area. In a room that has many lights, the area that each light shines on overlaps. This means that at five feet between canopy and bulb, the light is spread out over 25 square feet at 1/25 the original intensity. But if there are lights hung in a grid 5 feet apart from each other, the overlapping spread from each bulb will increase the light intensity in any given square foot of canopy by the square of the distance between each bulb and that part of the canopy. The amount of light hitting any one particular square foot of canopy can also be increased significantly in this situation by hanging reflective material around the perimeter of the canopy area. Reflectors that are designed to spread light out over a large area are ideal in this situation. The distance between canopy and bulb is much less important in a situation where many lights are overlapping each other and reflective material is hung around the perimeter of the canopy. In this situation, light intensity could be exactly the same at three feet and ten feet between canopy and bulb. In practice, light intensity does diminish somewhat at greater distances because no material is able to reflect 100% of the light back into the canopy. Many growers who use multiple lights in this way produce great results hanging their lights at ceiling level from start to finish. A reflector that is designed to focus light in a small area should be used in a situation where reflective material cannot be hung around the perimeter of the canopy area. A reflector that is designed to spread light out will create more uniform lighting in a situation where many lights are overlapping each other. Reflective material should be hung as close to the perimeter of the canopy as possible. Distance between canopy and bulb is much more important in a situation where reflective material cannot be hung around the perimeter of the canopy. Lights should be as close to the plants as possible without burning them. This means the temperature of the canopy should never be consistently above 80 degrees Fahrenheit. Distance between canopy and bulb is much less important in a situation where many lights overlap each other and reflective material is hung around the perimeter of the canopy. 1000 watt HPS lights are hung in a grid four to five feet apart and 600 watt HPS lights are hung three feet apart. Yield per watt can be increased by spreading lights out. Yield per square foot can be increased by hanging lights closer together, especially if CO2 is supplemented. Smaller light footprint than some of the HID counterparts… But with the smaller electricity bill this is typically not relevant. Ceramic Metal Halide (CMH) & Light Emitting Ceramic (LEC®) Grow Lights produce very little heat, but tons of usable light. Because the light spectrum is broader than typical HID lights, they produce more optimal light that plants can utilize throughout the various stages of plant growth. Though typically more expensive than HID lighting, LEC lights quickly pay for themselves in the long run with the energy savings and the rate at which plants grow with them. Long bulb life also saves you time and money. We recommend LEC lights for small to large grow rooms or as supplemental lighting paired with HID. Because the light is more focused, supplemental side lighting is suggested. Learn more about why the Sun System LEC Grow Lights are our favorite. LED grow lights have recently made tremendous progress in the past few years making them a great option for most growers. Though expensive, the cost benefit from the energy savings quickly outweighs this increase in initial cost. Utilizing high-quality light-emitting diodes, today's LED grow lights are durable and produce broader and adjustable light spectrums more optimized for plant growth. Producing very little heat, LED lights are a great option for grow tents and smaller grow rooms where heat and ventilation is a concern. They are also great for large operations as well. Because LED lights are one-piece units, they are very easy to setup and hang. At Hydrobuilder, we highly recommend LED lighting for most growers. Fluorescent lighting is a popular option for many growers due to it's low price, energy efficiency and low heat output. There are many sizes available that utilize different size fluorescent tubes. Typically, growers use T5 or T8 bulbs, which come in various lengths. "CFL" or compact fluorescent bulbs are also available and are even more efficient than standard fluorescent tubes. Because of the low heat and lower intensity, fluorescent lights can be placed extremely close to plants and are a great option for young plants that benefit from the less intense light. Fluorescent tubes come in various spectrums, allowing you to select the optimal spectrum for various stages of growth. If you are growing mothers or clones fluorescent lighting is a great option. Many growers do choose to use fluorescent lights for the entire growth cycle as well with great results. 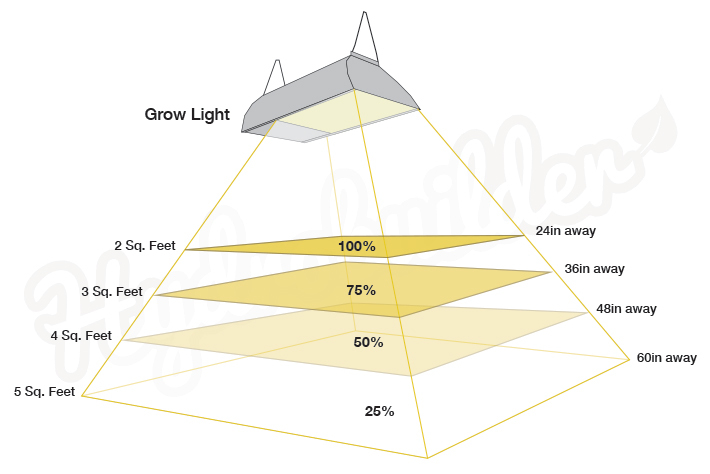 While hanging your grow lights, it is important to remember that they will need to be raised and lowered. To accomplish this, use adustable grow light hangers. As your plant grows, or if you start to notice heat stress or signs of not enough light, you will need to raise or lower lights. If you do not use easy adjust light hangers, this will be a hassle. You can also use chains or rope, but this will make your life much more difficult. If you have never hung grow lights before, check out our full guide to hanging grow lights!